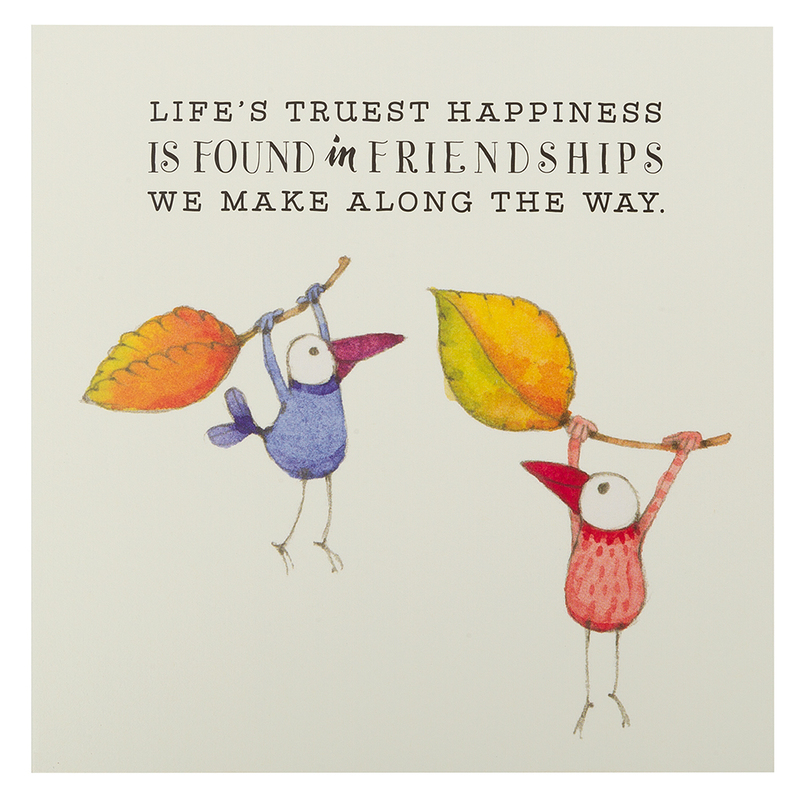 Decorated with two cute birds balancing on leaves, in an illustration by Australian artist, Kate Knapp, the message on this greeting card reads: Life's Truest Happiness Is Found In Friendships We Make Along The Way. It's a sweet little card to give to a new friend, or as a timely reminder to a child. Confidently In The Direction Of Your Dreams. It's ideal for a group of friends or family to pen their thoughts as the inside is blank. It comes with a matching creamy envelope. With Affirmations cards you'll always be uplifted. Features a beautiful illustration by Kate Knapp. 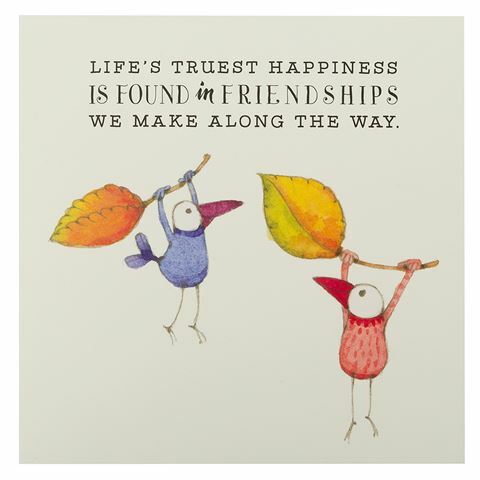 Front of the card reads: "Life's Truest Happiness Is Found In Frienships We Make Along The Way." Stores inside a blue envelope. Dimensions: 13.2cm (l) x 13.2cm (w).